Chase has really stepped up their credit card offers in recent years. 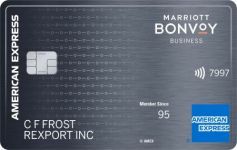 The signup bonuses and credit card spending multiples have really stolen the thunder of one-time wundercards like the Starwood American Express that couldn’t be matched. Signup bonus: Both of these cards give a whopping 50,000 Chase Ultimate Rewards points each for spending $5,000 within 3 months. You should easily be able to get a value of at least 1.9 cents for your Ultimate Rewards points, making the signup bonus worth $950. 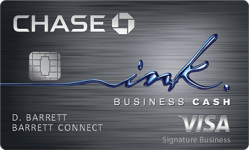 Ink Plus is a credit card and Ink Bold is a charge card. I’ve been able to get both approved due to that with one call to Reconsideration. 50,000 signup points and 5 points per dollar earning makes the Ink cards a must-have for any mileage junkies. While the $5,000 spend in 3 months may sound daunting for some, between Amazon Payments, Vanilla Reloads, or even buying Visa gift cards (which work on Amazon Payments as well) or store gift cards from office supply stores with 5x points, it’s really not all that difficult. Even if you pay your federal taxes via a credit card for a 1.88% fee, you’ll be coming out way ahead thanks to the generous signup bonus. 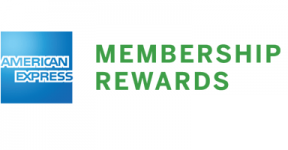 Sapphire Preferred offers a 7% points dividend every February for the previous year’s purchases, effectively making the card earn at least 1.07 points per dollar spent. You will also earn 2.14 points per dollar spent on restaurants, airfare, hotels, car rentals, charges in airports, travel agencies, caterers, timeshares, trains, buses, taxis/limos, ferries, bridges, tolls, and parking. There are no foreign exchange fee. 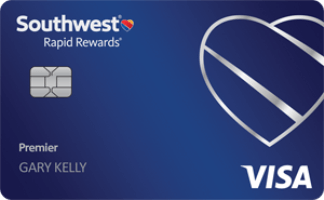 There are 4 versions of this card, each giving 50,000 points that are accessible under the “Additional Southwest Airlines Credit Cards.” They include a consumer and business premier card with a $99 annual fee that have higher annual bonuses and no foreign exchange fees and a consumer and business plus card with a $69 annual fee that have lower annual bonuses and charge foreign exchange fees. If you collect 110,000 Southwest points in a year from select sources, including all points from Southwest credit cards, you can to bring along a companion for free on all of your Southwest (and Southwest coded Airtran) flights for the remainder of the year and for the entire following year. 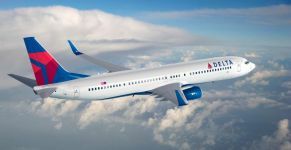 That’s good on paid flights and on award flights, so you can effectively get twice the value out of your points earned. And award changes and cancellations are free, as are your checked luggage. Read this post for more info on the Southwest program and various options for the points for non-flyers, such as store gift cards. Other awesome Chase cards with lesser published signup bonuses that you can add onto a “3BM” with just 1 credit pull include the Chase Freedom (which gives 5 points per dollar in rotating categories and 10% bonus points if you have a Chase checking account) and the Chase United Explorer (which gives free luggage, free primary car rental insurance in most countries worldwide besides Israel, expanded saver and standard award ticket availability, priority boarding, and more). There is also a business version of the United Explorer (click on “are you a business owner” on the Explorer application) and a Club version of the United card (click on the Club tab on the Explorer application) that gives 1.5 miles per dollar spent, 2 free checked bags per person, a United Club membership with unlimited free lounge and airport terminal access for you and your family, and waived expedite fees on United awards. 71 Comments On "Current Mega Signup Bonuses From Chase"
How can you use the free lounge visit? I have the cards and never heard of that before. Which lounges? I just recently successfully completed a United trifecta. I got the United Explorer consumer and business cards and got matched with a secure message to 55,000 miles and $50 on each of them. And I got the Club card and got matched to get it free for a year. Now I will be flying to Israel in business class for free. Thanks for your DD forums, what a resource! Thanks for the update! I actually did a 3BM tonight (before I saw this). Got approved for United Explorer and Southwest (both with hefty credit lines), but Saphire required further review. 1. Do you know how long to wait until applying for other Chase cards? 2. Is it worth it to contact Chase directly regarding further review on the Saphire to not even take a chance on getting it declined? DXD: You can call Chase reconcideration right away. It would help if you (a) can explain why you need this particular card also (b) can offer to move credit to the new card by lowering another card’s limit or even closing it. Be prepared with which card and how much you’re offering to move. Is it worth getting the BA card now, or it is worth waiting? Also,how many Chase cards do they allow someone to have? BA has a “how many Avios do I need?” calculator. I punched in TLV->NYC (I live in Israel) and it gave me max 32,500 Avios plus taxes and fees. So.. free flight to Israel if I spend $1000? Am I missing something? 2 points for dining on the ink ? How do you get the free lounge visits using the ink ? 2 weeks ago I did a chase 3bm, BA, SW & SP. Got instantly approved for BA & SW, needed recon for SP visa cuz I already have the MC & got approved after SM’ing them & closing SP MC. Yesterday I applied for SW business, got denied, & called recon, I offered to move around lines of credit & they still denied me, “too many cc’s opened recently”. I said I will close one totally, & use line of credit, they still said NO! Any ideas? How do you get a value of 1.9 cents for ultimate rewards points ? Is The United Card CHurnable? AnyOne Have Any Luck Getting The Annual Fee Waived On The United Explorer? 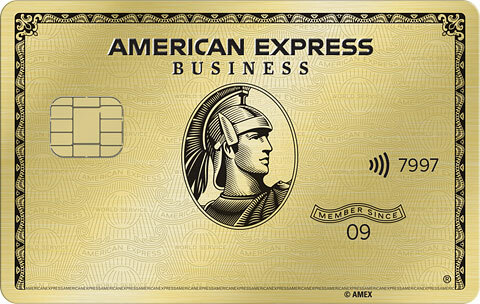 Is the Ink Bold card better then Amex Gold Charge Card? @Chana – Thank you! I will call this morning. If I am successful, still would like to figure out when I can do the next Chase round. Hello, If you have a Freedom card with a Chase account it makes more sense to use it & get the 10 pct bonus whereas Sapphire only gives you 7 pct. Am I correct? Thanks Dan for everything you do. hey dan can u still sm chase on the united card to get matched to 50000 and 50$ credit? and when is the best time to do it ? when u get the card or after u finish the spending ? thanks! Do I lose any of the sapphire benefits, such as the dividend, when I convert to a world MasterCard? I got a new United card but can not get the bonus. I called and was told that the bonus in United is one time only for the rest of life. Is it true? Also, I keep getting rejected from chase: too many cards/inquires into my credit. I always pay on time and have no balance. HELP. Thanks Chana, I was able to get Saphire approved by shifting credit lines around. Any suggestions on how long to wait until the next Chase round? Do you need the miles now? That calculator is one-way for BA flights with fuel surcharges. Ink Cash actually is 2 points for dining, however you are right that Bold and Plus are on hotels. If you just did a successful 3BM I’d give it at least 1 month before trying again. I’m not saying it’s impossible with Recon, but very tough. 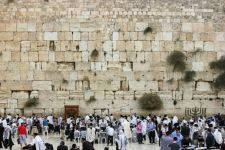 -A United business flight to Israel is 120,000 miles or $5,000, a value of over 4 cents each. -A last minute United midhaul coach flight cost me 20,000 miles instead of $850, a value of over 4 cents each. -A Park Hyatt hotel in Paris, Sydney, or the Maldives is $1,000 a night or 22,000 points, a value of over 4 cents each. -A last-minute BA flight that I just too was 9,000 points or $1,100, a value of over 12 cents each. -2 first class Korean flights I just took cost cost a total of 95,000 points or $12,000, a value of over 12 cents each. -A regular old Southwest flight in coach will be worth 1.9 cents per point. I can go on forever, but I use 1.9 as my threshold to decide whether to redeem my Chase points. Yes with a new mileage number. It is waived automatically. Sure, but of course if you can use an Ink card for gift cards it will blow those out of the water. You can SM at any point, though if it’s not your first time you should wait until you get your signup bonus. You will lose the dividend. On the other hand if your fee just posted it will usually erase the annual fee in the conversion process. Should’ve applied with a new mileage number. I get rejected also, that’s why I call Recon and leverage my existing cards and credit lines. There is no set guideline, just have to play trial and error. 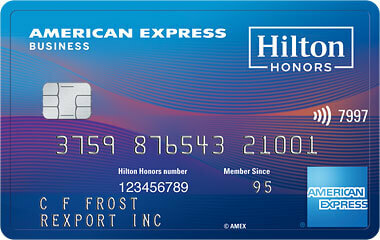 Chase points go for much more than AMEX points. 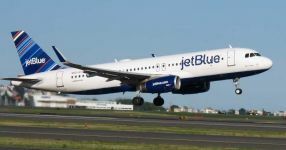 In this post the Ink Bold, Ink Plus, and Sapphire Preferred can all transfer to United. 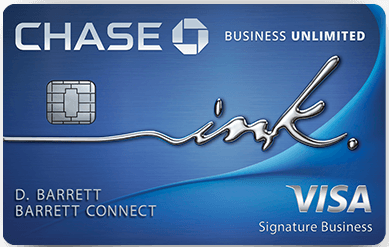 The Freedom and Ink cash can also transfer to United if you or your wife has an Ink Bold, Ink Plus, or Sapphire Preferred. I applied for one card and now I can’t access any chase card applications. What do I do? Dan, I don’t need the miles specifically now, but I can always use. 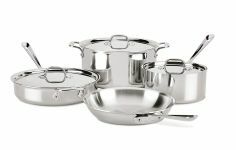 Should I wait on the BA for a better offer, or should I do it now? Having problems seeing card offers? Getting a â€œcard not availableâ€ or other error message? Read this! 1. Try using another browser (IE, Firefox, or Chrome) to see the offer. 2. You can try deleting your browserâ€™s cache and cookies to see the offers. To do so just hold down the Ctrl, Shift, and Delete buttons on your keyboard and then delete your cache and cookies. 3. You can also try browsing â€œincognitoâ€ or â€œin-privateâ€ to see the offers. In IE and Firefox you can access this mode by holding down Ctrl, Shift, and P buttons on your keyboard. In Chrome you can access this mode by holding down Ctrl, Shift, and N. Then just return to DansDeals.com and click on the card offer you want. If you have no use for the Avios now you can wait I guess? I’m no prophet though. 10K, as it says on the link. With Freedom you make the points up from the 5x rotating categories that are always useful. Thanks to your site, I successfully got the Ink, Ink Bold and United in one scoop about 3 months ago. How can I sign up for these cards again? I would love to get the bonuses all over again. Should I cancel and apply again? 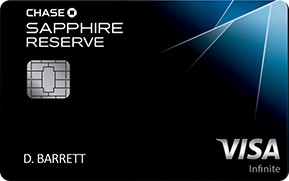 Dan, which card do you think would be better, United MileagePlus Explorer VISA or Sapphire Preferred MC? I currently have the SP VISA and was thinking about trading places. The signup bonus for SP is 40K, less than the 55K one could get from the United card. So itâ€™s a smaller bonus, but which is the better card? I already have cards with no foreign transaction fee. The only thing I can reason is the SP gives an annual divided of 7% back annually and 2x for dining and travel, whereas United is only 2x for United travel. Could I apply for both at the same time? Thanks! I’m about to do a 3BM for both of the SW cards and need one more. Can I do the Ink or Bold as well even though the SW are consumer and the Ink/Bold is a business card? %10 for freedom with chase account, not 10 points? also y do u prefer BA over United with 55k +$50? I had a BA from Chase that I closed after I sold the miles in Feb 2012, and then in Jan 2013 I got an email from BA saying that they need proof that the miles that were used (by like 8 diff people) were given to those people as a gift and I did not receive any money, and if I don’t send in proof they have to shut down my Avios account (as if I care) which they eventually did. So do you think I can get another BA from Chase? I had a united explorer card and closed it two weeks ago. This week i went to chase bank to open a different card the banker told me that i could open again the united and get the bonus again 50k plus 5k for adding a authorise user he called in to make sure and they said the same i’ll update iyh what happened. Don’t want to be the bearer of bad news, but it’s starting to get harder. They have picked up on the opening/closing situation, and many of the agents are shooting people down. One agent recently told me “we can’t just allow you to keep opening and closing cards for the benefits”. This, after I offered to close SEVERAL cards to open just ONE new card, and after taking a significant break from applying for new cards, and after giving them a solid reason why I need the new card. This is the first time I have been turned down by a recon agent, and I have been doing this for a couple years now. I would think it’s a one-off thing, but people on the forums are telling the same tale. HUCA still works apparently (according to users on the forums, though I did not try it myself just yet). I won’t even get into Amex, as they have become extremely difficult, and they are becoming more and more impenetrable. @Dan, which card would you say makes more sense to get, the BA Avios or the United? Already have SW. Avios gives you 50k points but the general consensus seems to be that united points are more valuable but you only get 30k points (why is everyone saying 50/55 points? I see people asking if they should wait for a better deal than 50k avios, how much better can it be? 50k for spending 1k in 3months? Easy, no? One more question, I know I will need to fly somewhere this coming June. With Southwest it’ll cost about 24k points RT, with United it’ll be 25k, with AA it’ll be 25k. It also seems that something like Avios can be very valuable if you fly somewhere that isn’t popular, i.e. NYC – CLEVELAND which is never too cheap, even booked in advance so something like southwest points would be a waste, but with Avios it’s 9K round trip which means for 9k points you’re getting an, on avg, $300 ticket, or 3.33 cents per avios. With Southwest it would be twice the points for the same flight. Using Mileage Plus would be 20k points. You can also convert your SP Visa into a MC and apply for both the United and SP Visa again on the same day for 1 pull. Also don’t forget if you spend 25K on United in a year you get a 40% bonus (10K miles). Otherwise Sapphire beats it. You can, though it will likely result in another pull. Not the end of the world for 50K points though! For new applicants it’s just 10%. The United requires getting matched, but yes it is better. Open a new BA account. If you didn’t use a new United number you likely won’t get the points. Also you can match via SM from the 30K offer link to 55K+$50. Why can’t you get both? You can apply for multiple cards with just 1 pull. People have gotten 55K+$50 on the United card by sending a secure message asking for that offer after they get the card. If you open a BA.com account you can search award space for your dates. Alternatively you can search AA.com for sAAver awards, which is identical to what shows on BA.com for nonstop flights. Though even if AA.com shows it costs 25K on BA.com the same short haul can be just 9K or 15K round-trip with no close-in fees and with tiny cancellation fees. Correct, but it’s award space dependent. what is the difference between a credit and a charge card? If I applied for the SP MC and United VISA, would that generate two pulls rather than one from SP and United VISA? Also, if I have Ink Bold and only one business, can I also apply for Ink Plus since they’re different? Thanks again. Thanks Dan, applied for some cards got the “Pending approval message”, tried calling Recon & Status phone numbers, both told me to wait. So I guess I’ll give it a day or two. is there a limit to how much a month i can do on my vanilla debt cards? Any thoughts on closing Chase Southwest Visa Signature credit cards immediately after receiving the bonus to avoid the annual fee? Not that I know of, though they can freeze your accounts. You can call back and offer to lower the credit line on another card or cancel an older card to get the SP approved. I am looking to go to israel at the end of April and would love for the miles to cover my ticket, which of these cards should I apply for? Instant approval for United. SP MC gave the “here’s what you can expect next.” I already have the SP VISA and the rep said it was the same product so I couldn’t get the signup bonus. He offered to switch the cards with no bonus. Told him I’ve heard that it was possible, and he said it’s not. Any help? Most of these cards would cover it. The Ink cards have the biggest/best bonuses. Really? You expected a different answer? They can close your Visa to approve the MC and Vice versa. There is no such thing as 2 apps max. Tons of DDF’ers have gotten 3 or even 4 at a time. If you hear that, just HUCA. Don’t you need to own a business for the ink cards? 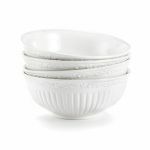 Never sold items on ebay? Dan, that’s correct. I thought it was possible to apply for the SP MC and get the signup bonus again. You’re saying it is possible if they close the SP Visa, correct, because MC and VISA are different…? Thank you. This morning I was denied by recon. for a second business card (Ink Plus) due to insufficient income from the business. The question is I have received CSP MC & VISA version bonuses – closed one & rolled the credit line in to the other via reconsideration. Will I get the bonus again or it is 1 time? The T&C’s say one time? Same question for United – I received the bonus 3 years ago & closed the card 2 years ago – Can I get the bonus again? T&C”s say first time only. Hey when you say charge card , what does that mean ? Can I Apply for that even if I have bad credit ? Chase recently terminated they’re relationship with me including my checking account and 3 credit cards the reason was that “account activity is not as expected of me” I didn’t get a clear answer why. Does anyone know what the reason could be and if I would be able in the future to go back to chase? Quick question: Does a balance transfer count as “purchases” towards getting the sign-up bonuses? Dan, Ive already had 2 Sapphire cards in the last 2 years (one for me and one for my wife) is there any way that I can still get a signup bonus if I get a new card? Is it possible to open an a new Sapphire account under a business name? (Ink card is not an option right now) Otherwise, the next best card to get for a 3k in 5 months budget is SPG, right? Thanks! Can you get the same card twice? I applied for the united, freedom and sapphire cards, and was accepted for 2, but not the united. i called up and they said that i applied for 3 cards at once, and since i never had chase card before, they cannot accept me. i would prefer the united over the freedom though (as long as i’ll be able to get away with the annual fee – does that work for united?) – is there anything for me to do without canceling the freedom and ruining my credit score? what should i tell them and when is the best time to call? I’m new to your site and not very tech savvy. We took your suggestion and each got the AMEX Business cards and the 75K bonus points. We now have 170K total (85K x 2). AVIOS is now giving its 35% bonus. 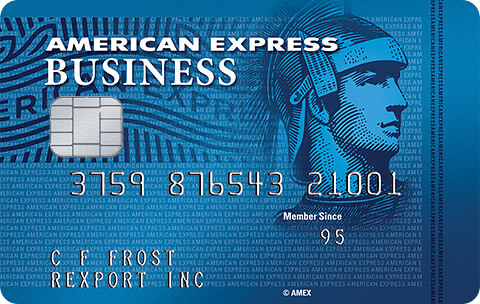 How do we transfer the AMEX to AVIOS? We would like to go to EY this summer but don’t want to fly Air Berlin. Any suggestions? Thanks. i recently switched my SP visa to a Freedom to avoid the annual fee. Can i still apply for the SP mastercard and get the bonus points again? I spoke to them on the phone and they said that since i’ve already gotten it once, I’m not eligible. I tried HUCA twice already and doesn’t seem to work. This is a case of FOTAASI (fill out the app and submit it), not HUCA. You will get the sign up bonus. Did you read Dans post a few days? BA is one of the worst for going to Israel. They charg hefty fuel surcharges. You should sell the Amex and use the cash to book tickets. Ink Bold/Ink Plus are fantastic.